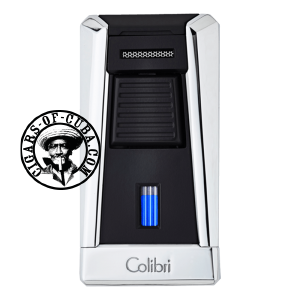 Single Jet flame, wind resistant Colibri Stealth I. Polished Chrome & Black lighter. Fuel level window. Gas not included.